100% Pre-washed Cotton feels so comfy! Shop this wonderful new line at The Wardrobe! We are so excited about these new designs from local artist, Lone Star Lizzie! Each item is screen printed by hand in Austin, TX. This soft, navy cardigan is perfect to throw on in colder evenings, but adds a little more flair than your average button-up sweater. We've paired it with a basic, white tank and our 18k gold leaf necklace. This top is a must-have item this Spring. It's T-shirt like material will keep you cool and comfortable. Throw it on with a pair of jeans and booties for an effortlessly, put-together look. It's that time of year when you never know what the weather is going to throw your way. This classic cargo jacket pairs with almost everything, and will keep you warm with its fleece lining. This sandal pairs with everything! The unique cut elongates your legs while keeping a low profile heel. Can't you see yourself cuddling up in this sweater with a cup of tea and a great book at your local coffee shop? We love the neutral grays with a tiny pop of teal! Affordable fashion tip: Want a new look, but can't justify purchasing a whole new outfit? Look for a statement necklace - that old black dress hanging in the back of your closet will be instantly transformed. This is the first of a series of gifts guides to help you pick out the best gifts for your loved ones this year! Can't decide which color sweater your best friend would like better? No need to fret! 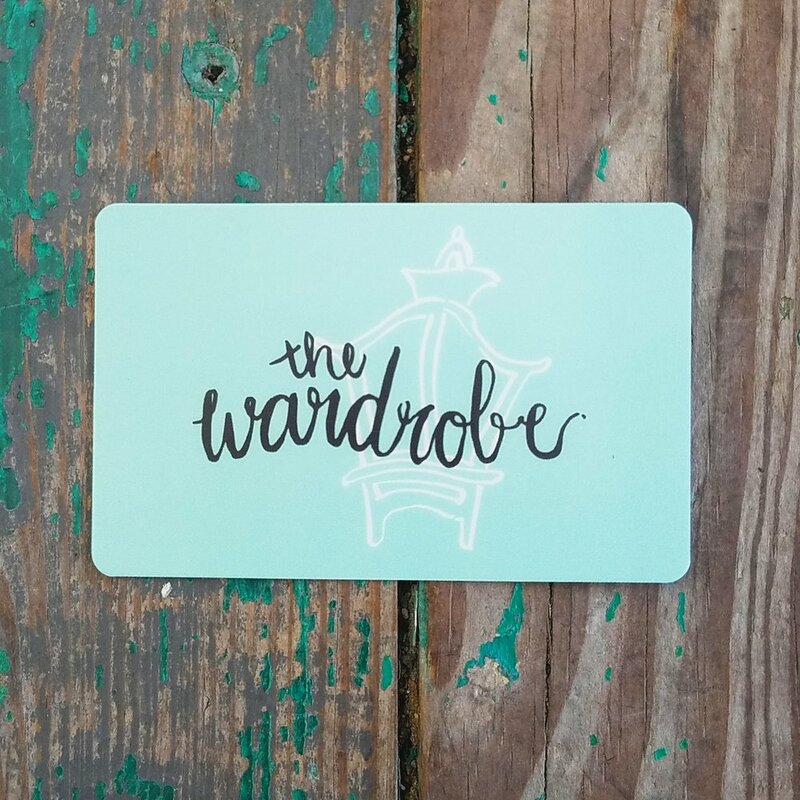 The Wardrobe now has Gift Cards available. The Wardrobe will be closed on Thanksgiving Thursday, November 24, 2016. We will re-open with our regular hours on Friday. We hope you and your familiy have a safe and wonderful holiday.